Hanson Brick is North America’s largest brick manufacturer, with a capacity of more than 1.7 billion bricks. It also is the region’s only kiln-fired face brick manufacturer. Material mined for Hanson’s facility is shale and sand, in an 80/20 mix. 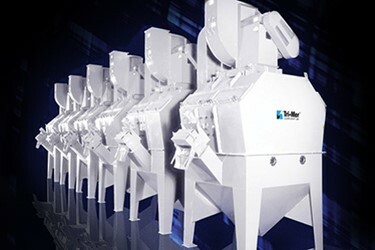 To collect dusts from clay powder colorant blending, as well as dusts from spreading machines and dryers, the company purchased a Whirl Wet dust collector manufactured by Tri-Mer Corp.